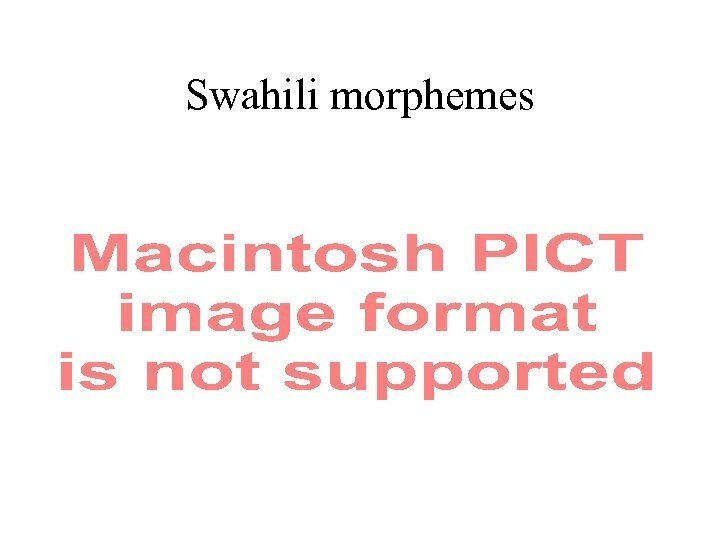 Morphemes • A morpheme is a minimal unit of grammar, i. e. the smallest bit of speech that has a meaning or grammatical function. 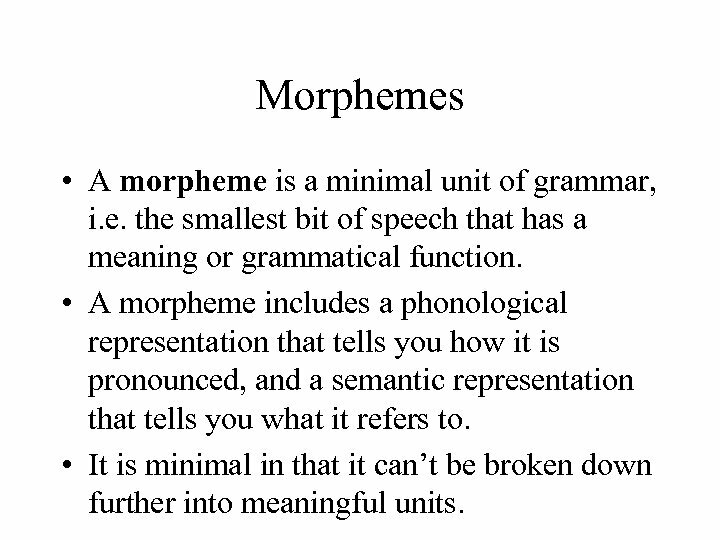 • A morpheme includes a phonological representation that tells you how it is pronounced, and a semantic representation that tells you what it refers to. • It is minimal in that it can’t be broken down further into meaningful units. 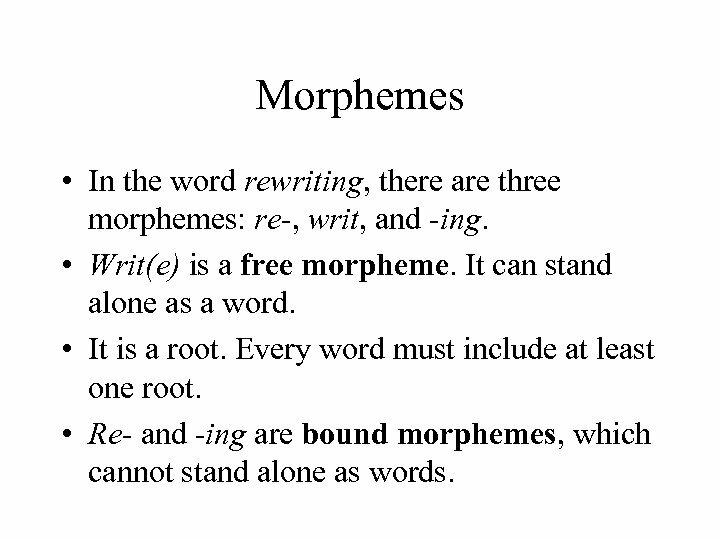 Morphemes • In the word rewriting, there are three morphemes: re-, writ, and -ing. 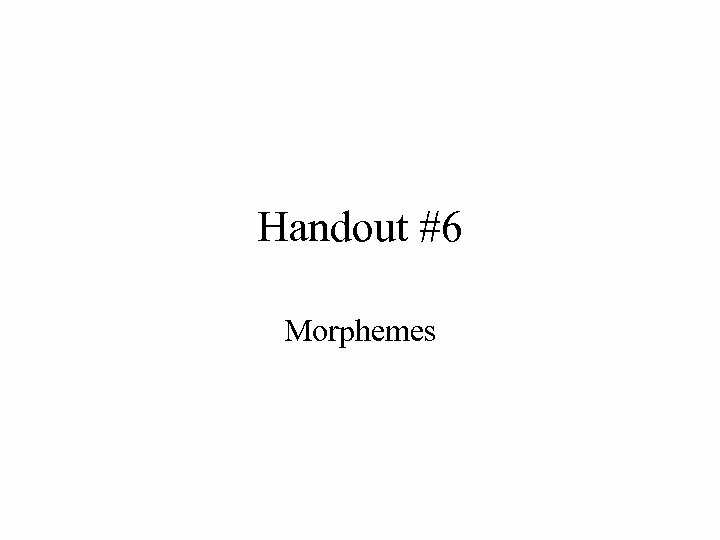 • Writ(e) is a free morpheme. It can stand alone as a word. • It is a root. Every word must include at least one root. 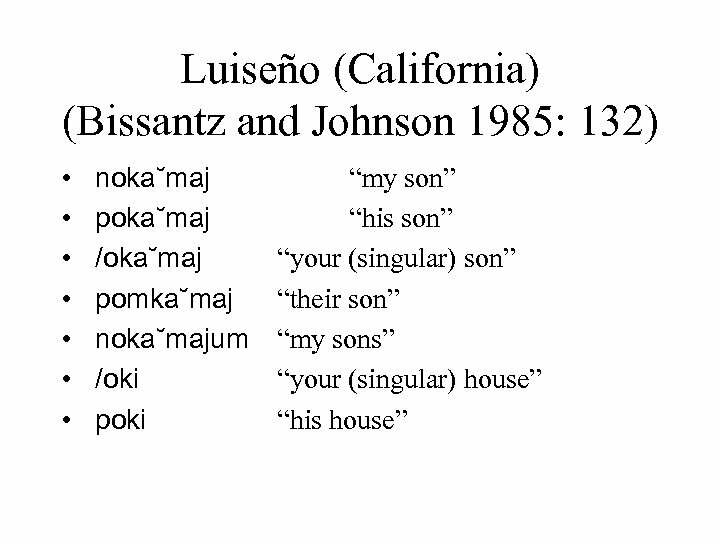 • Re- and -ing are bound morphemes, which cannot stand alone as words. 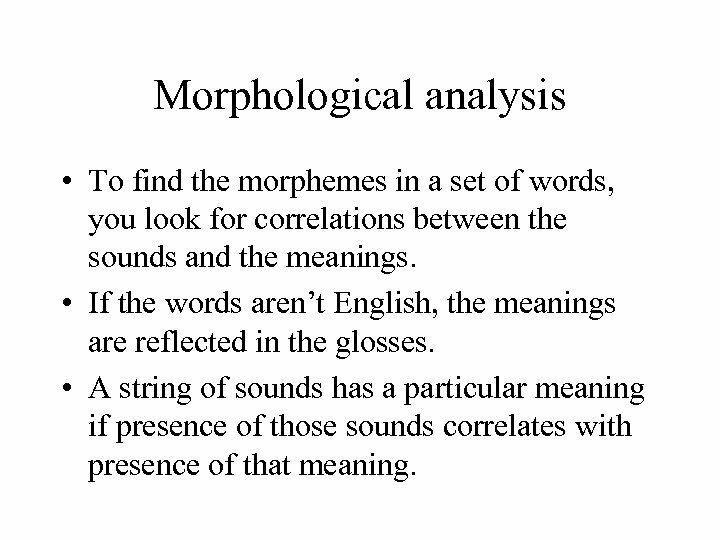 Morphological analysis • To find the morphemes in a set of words, you look for correlations between the sounds and the meanings. 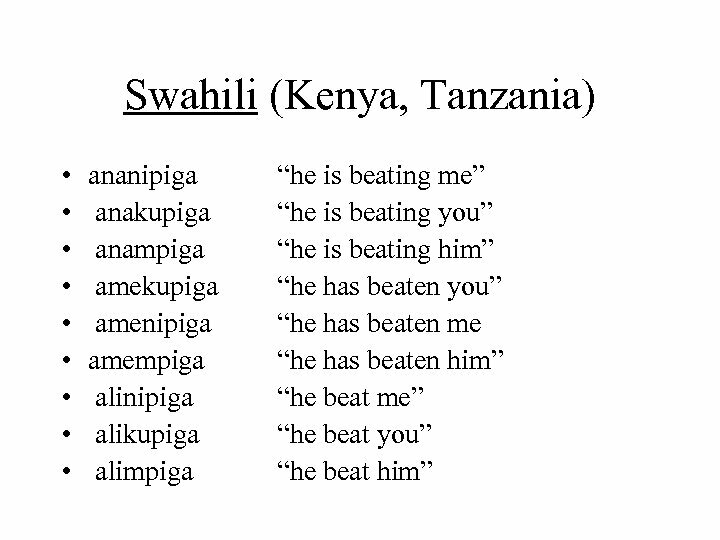 • If the words aren’t English, the meanings are reflected in the glosses. • A string of sounds has a particular meaning if presence of those sounds correlates with presence of that meaning. 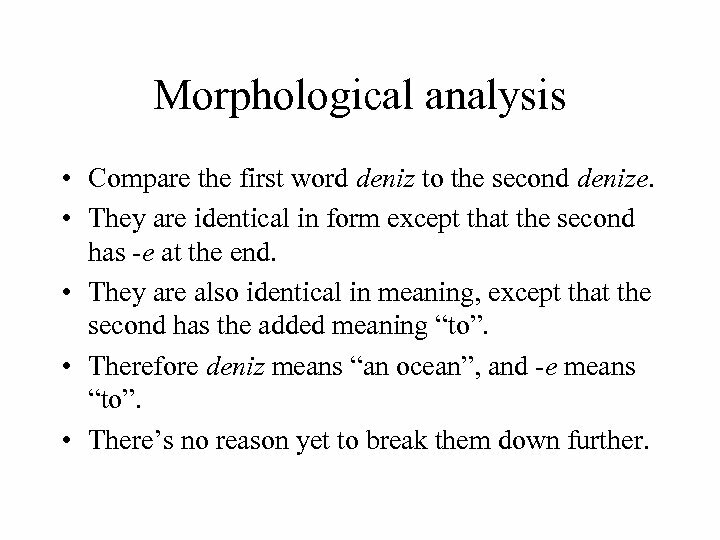 Morphological analysis • Compare the first word deniz to the second denize. • They are identical in form except that the second has -e at the end. 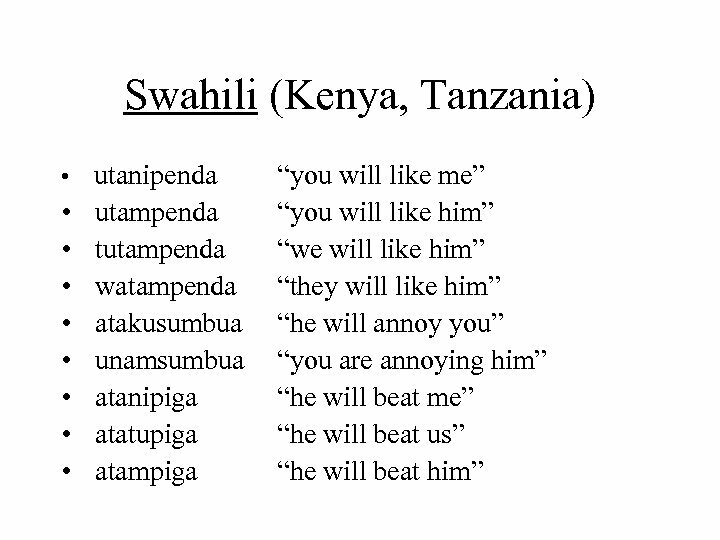 • They are also identical in meaning, except that the second has the added meaning “to”. 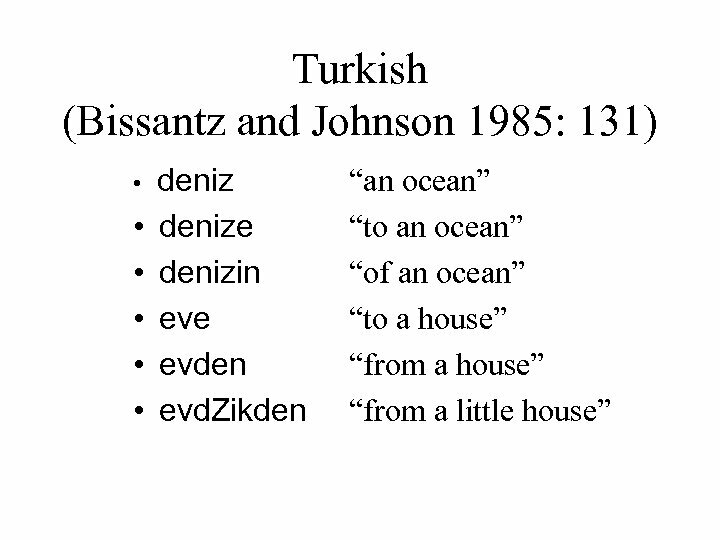 • Therefore deniz means “an ocean”, and -e means “to”. • There’s no reason yet to break them down further. 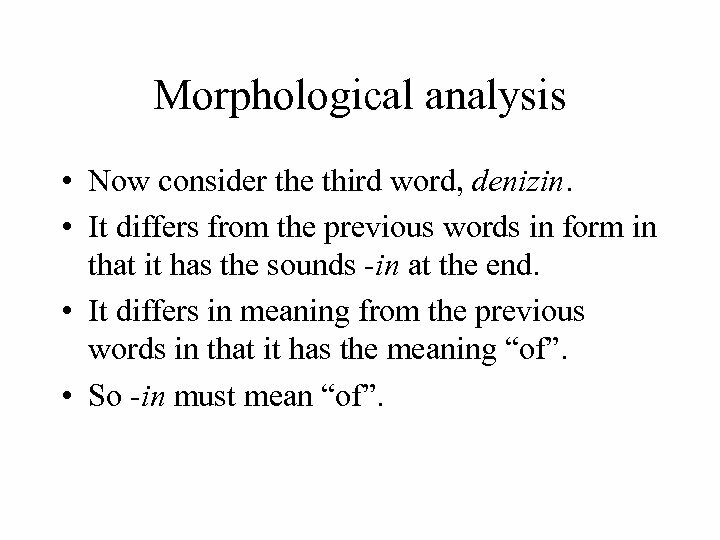 Morphological analysis • Now consider the third word, denizin. 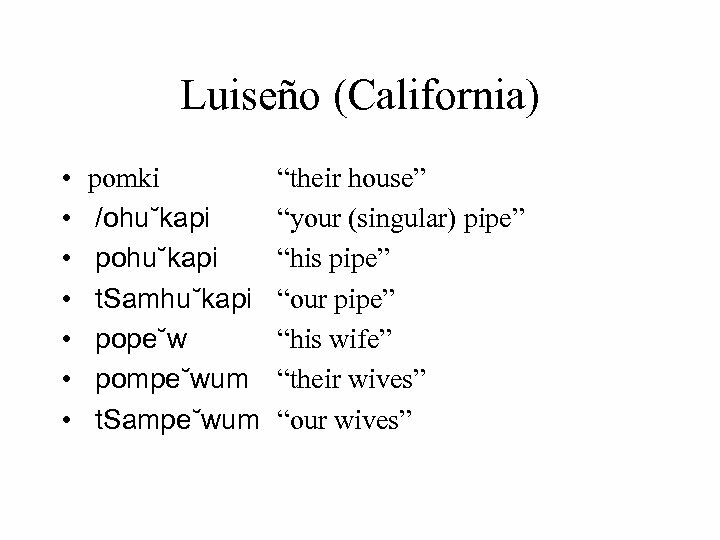 • It differs from the previous words in form in that it has the sounds -in at the end. • It differs in meaning from the previous words in that it has the meaning “of”. • So -in must mean “of”. 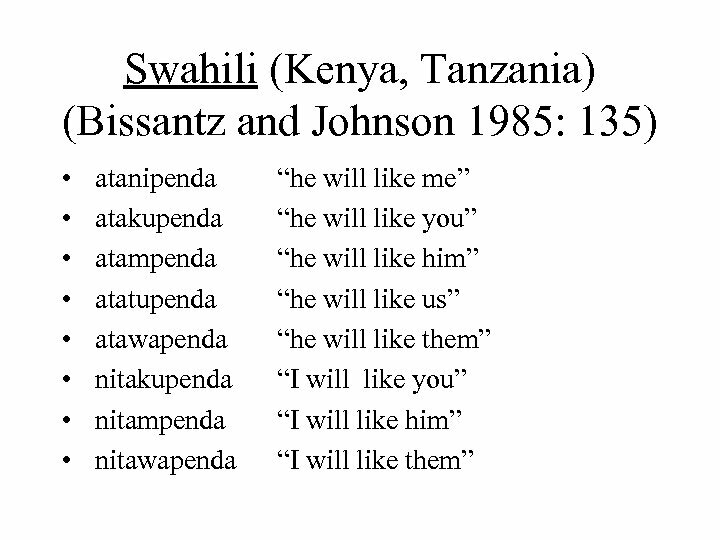 Morphological analysis • Now consider the fourth word, eve. • It is like the second word denize in that it ends with -e and has “to” in the gloss. 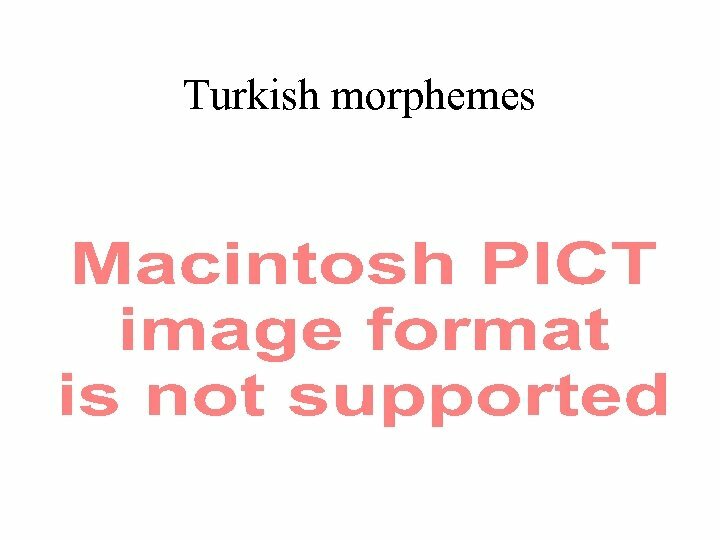 • It differs from that word in form in that it begins with ev rather than deniz. • It differs in meaning in that it has “house” in the gloss instead of “ocean”. 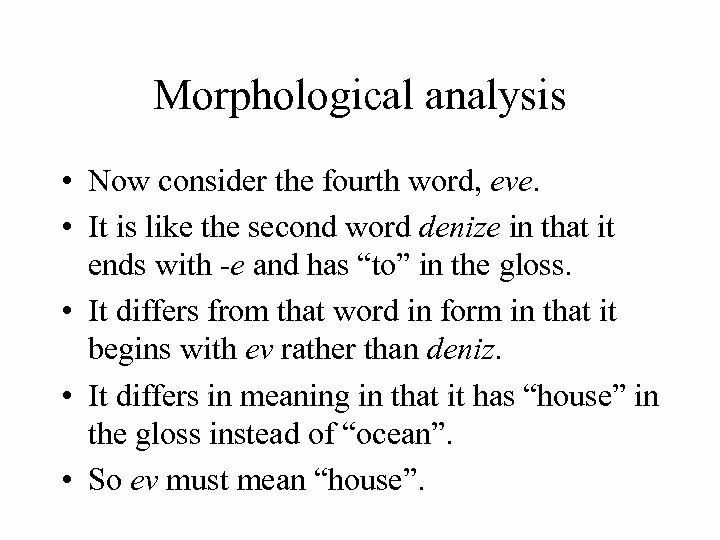 • So ev must mean “house”. 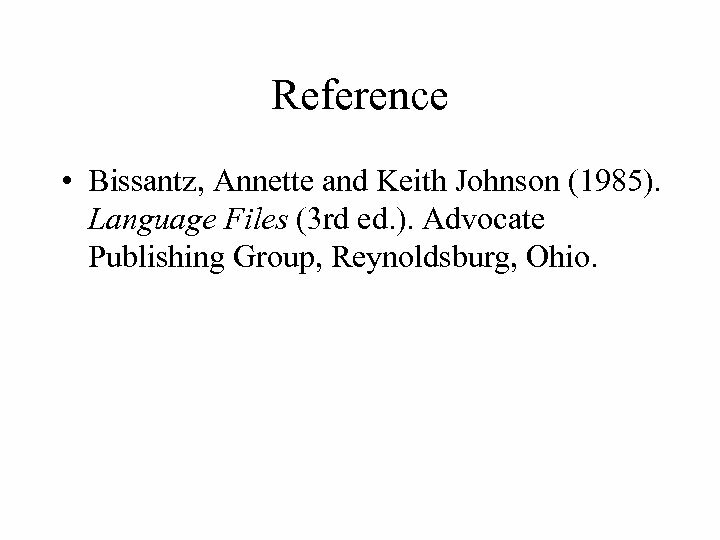 Reference • Bissantz, Annette and Keith Johnson (1985). Language Files (3 rd ed. ). Advocate Publishing Group, Reynoldsburg, Ohio.